Robert “Bobby Lee” McMurray, 72, of Maple Falls, was freed from his painful battle with cancer on Nov. 24, 2018. He will be dearly missed by his family and friends. He was born Sep. 5, 1946 to Sofia and Benjamin McMurray in Cebu City, Philippines. He came to the U.S. in 1965, joined the Navy, and did two tours in Vietnam before leaving in 1972. He then worked at Boeing in CA until he decided to pursue music. He had a very successful career performing in Las Vegas before moving to WA in 1989. He and his partner purchased the 1st Bobby Lee’s Bar & Grill in Burlington and started his band, Bobby Lee & the Edsels. In 1994 they sold and opened the 2nd Bobby Lee’s in Everson which became a popular piano bar with karaoke. 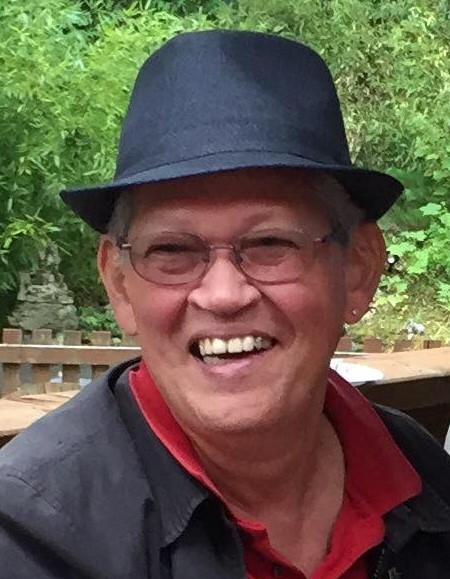 He leaves behind his beloved partner of 32 years and spouse of 5 years, Ricki Selhaver, daughter Tamera Selhaver, son-in-law Pedro Ramos, granddaughter Franchesca Selhaver-Ramos, and grandbaby Ariélle Ramos. He was the youngest of 8 siblings: Benjamin Jr., Jackson, Joseph, and Michael are deceased while Murray, Fred, Victoria and Christian are left to carry on without him along with all his other family and friends who loved him so very much. A graveside service will be held on Friday, Dec. 7, 2018, 10am at Enterprise Cemetery, 7041 Vista Dr, Ferndale, WA 98248, followed by a Musical Tribute at 1pm at the Bourbon Bar & Grill, 108 W Main St, Everson, WA 98247.